Systemic Lupus Erythematosus (Lupus) hijacks the body’s defenses, unleashing a misguided assault on healthy tissues and organs. An estimated 1.5 million Americans suffer from the chronic autoimmune disease, which overwhelmingly strikes women. When lupus flares, the broken immune system goes on the offensive, attacking and destroying the skin, joints and vital organs. The spectrum of lupus disease can range from a mild skin rash or joint pain to severe life-threatening inflammation of the kidneys, brain or cardiovascular system. The disease tends to erupt and subside with recurrent bouts of inflammation. Over time, lupus raises the risk of potentially fatal complications, such as blood clots, heart disease, strokes, seizures, and kidney failure. Normally, the immune system produces infection-fighting antibodies designed to protect the body from assault. For unknown reasons, autoimmune disorders disrupt the process, causing the immune system to turn on itself and produce harmful autoantibodies. Autoantibodies circulating through the bloodstream attack healthy tissues, leading to unchecked inflammation, pain and organ damage. What causes the flaw in the immune system? What triggers an autoimmune disease in susceptible individuals? The answer may be due, at least in part, to the activation of proteins on the surface of B cells. B cells are a type of white blood cell that defends the body against infection. 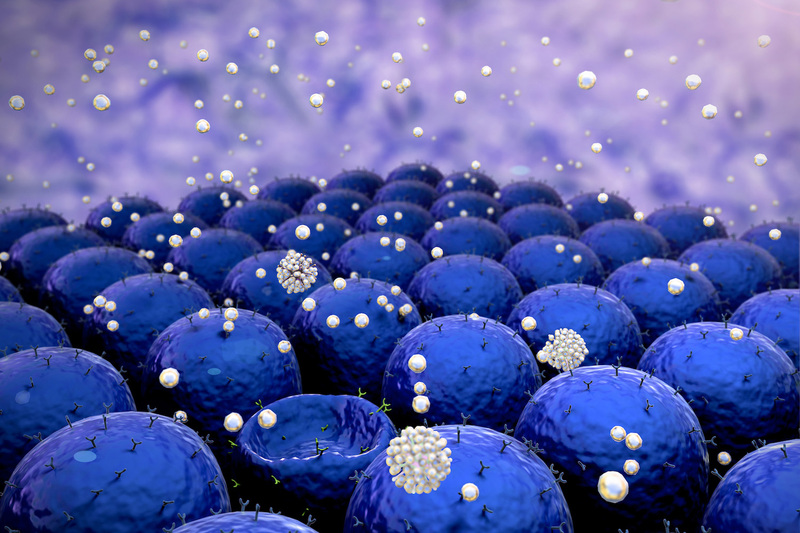 In healthy individuals, B cells produce targeted antibodies against disease-causing microbes. These antibodies, which provide long-term protection from recurrent infection, are the basis for the protective benefits of childhood vaccination. Unfortunately, in certain susceptible individuals, faulty signaling in B cells can also result in the formation of disease-associated autoantibodies. Given this important role for B cells in the development of lupus, Dr. Jackson’s research focuses on understanding how B cells are activated to produce autoantibodies in the first place. Over the last decade, researchers have discovered that increased levels of a B cell survival factor called BAFF (also known as BLyS) are associated with the development of lupus in both humans and in animal models. This research led to the development of a BAFF inhibitor Benlysta® (belimumab), which was first new medication for lupus to receive FDA approval in more than 50 years. Belimumab is approved for patients with mild to moderate disease in combination with existing medications. BAFF promotes B cell survival and activation by binding to two different receptors on the surface of B cells. Recently, Dr. Jackson’s lab and another group in Australia independently discovered that the B cell surface receptor TACI is required for BAFF to promote B cell autoantibody production. Why does lupus affect everyone differently? “Lupus strikes genetically susceptible individuals,” says Dr. Jackson. “Some patients respond very well to treatment, while others don’t, and we predict that a reason for this is that distinct mechanisms may drive lupus in different individuals. Scientists have been trying to develop an effective therapy for decades. Our hope is that improved understanding of how autoantibodies can be generated via different B cell activation pathways may allow the development of new targeted therapies for this challenging disease”.